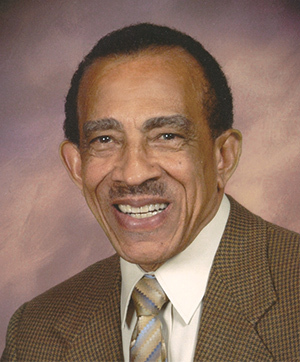 The 1955 alumnus spent his life fighting discrimination. Harold Booker spent his entire life working for social justice, defying racist situations at every turn. But facing discrimination did not embitter him. Booker always saw the best in people. Booker, ’55, was born in Spring, Texas, in 1933. Because of segregation, Booker had to walk 2 miles past the white high school to catch a bus that took him 45 miles to Houston to the high school for African Americans. No matter. He graduated at the top of his class at age 15. By age 19, he had already earned a bachelor’s degree in organic chemistry. His sister, Vivian O. Lee, ’58, ’59, recalls that when Booker applied to the UW for graduate school in organic chemistry, the department head warned that he would never earn a master’s degree. Booker nonetheless excelled and became the first Black person to receive an advanced degree in organic chemistry from the UW. Despite his job as a Boeing engineer, Booker could not buy a home in Federal Way because real estate agents would not sell to African Americans. So, with his wife, Verda, he bought land from a colleague and friend at Boeing and built his own house. The discrimination he faced didn’t stop with real estate. A visit to the community pool triggered an uproar, and their son endured racist taunts on the playground. Booker also earned a law degree and helped form the Federal Way Committee for Human Rights to work against racial discrimination. Booker also served as chair of the Seattle King County Economic Opportunity Board, and served multiple terms as chair of the King County Housing Authority. Under his leadership, the public housing program grew from 1,000 units to 10,000 housing units. He was the longest serving Commissioner in the history of the Housing Authority. The UWAA Multicultural Alumni Partnership recognized Booker as a Distinguished Alumnus in 2007. Booker died Feb. 14 in Seattle at age 84.